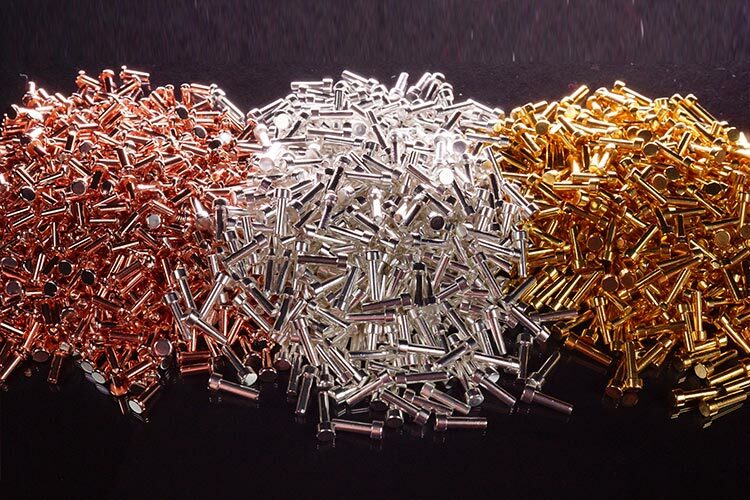 NAECO electrical materials are used for every application. 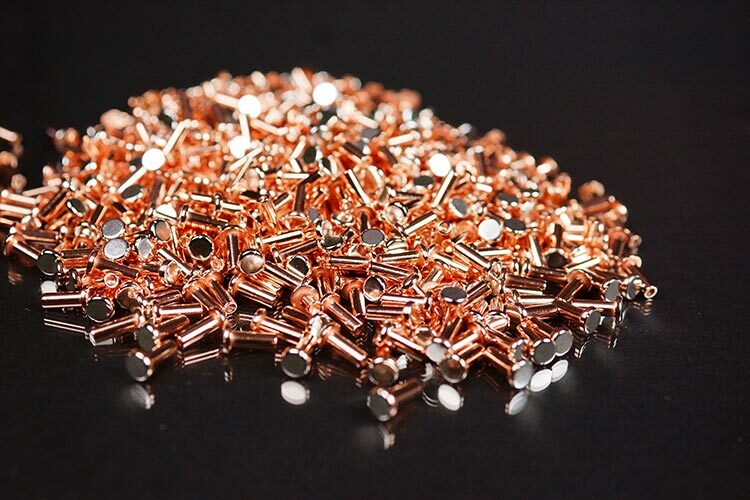 Our electrical materials are the highest quality and best value, and include nearly all materials for low, medium and high voltage applications. 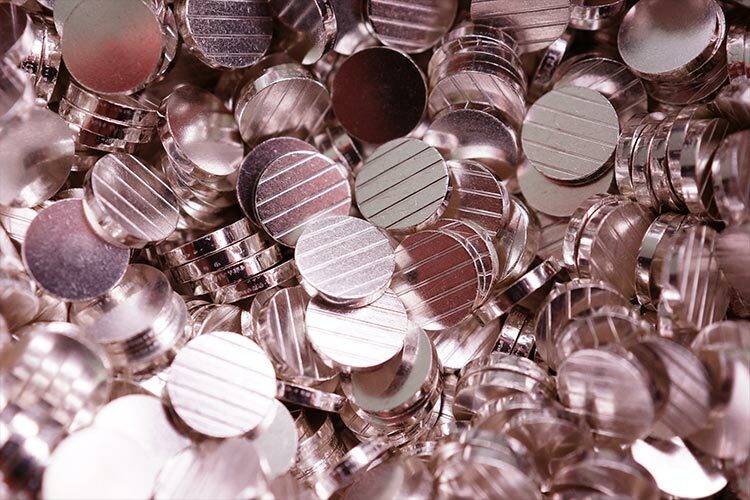 Silver alloys, semi-refractory and silver based composites such as fine silver, silver nickel, silver magnesium nickel, silver nickel copper, silver graphite, silver cadmium oxide and silver tin oxide for a variety of applications. 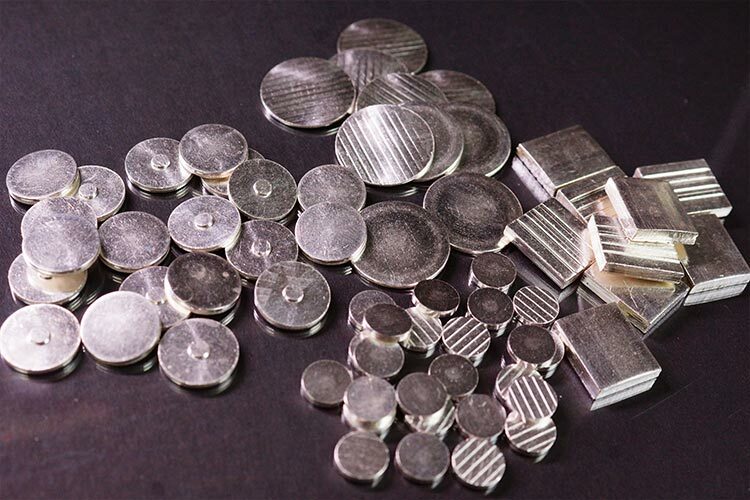 Arc tolerant refractory materials such as silver tungsten, silver tungsten carbide, copper tungsten and copper tungsten carbide materials for high voltage applications. 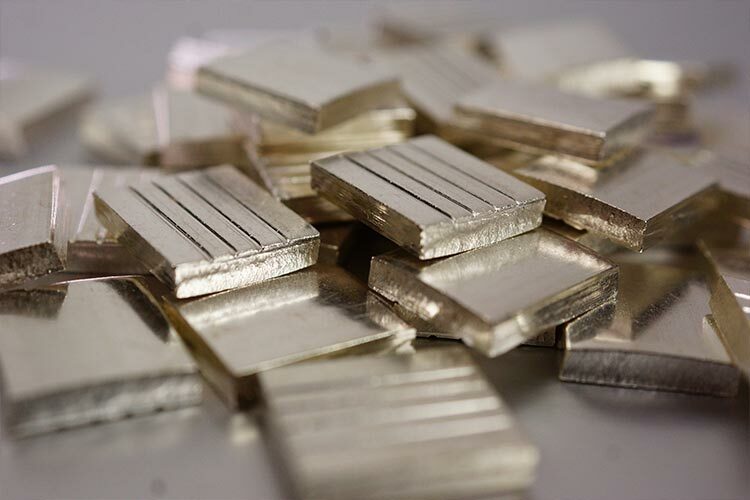 For many low voltage, high reliability uses, NAECO gold, platinum and palladium based alloys are manufactured in various forms. 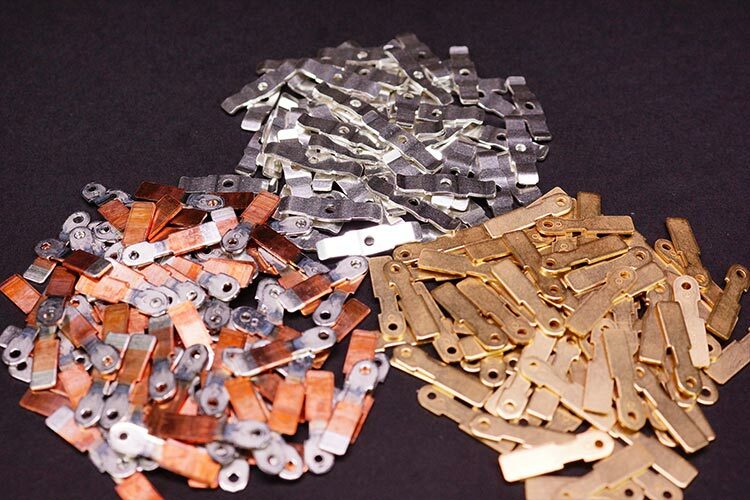 For high volume switch and other device components we offer silver Inlay, edgelay and throughlay on copper and other carrier metals.